Learning disabilities may include dyslexia, math disorder, writing disorder, auditory processing deficits, or visual processing deficits. Although each child with a learning disability is unique, many also have associated visual problems. Addressing these vision disorders may alleviate some symptoms of learning disability. Most often, a teacher recognizes a child falling behind in a particular subject area and recommends that the child receive further assessment. A school psychologist may conduct tests to see if the child has processing difficulties or significant problems learning certain types of information. Although this type of assessment may include a cursory vision screening, it is important to receive a comprehensive vision exam to rule out vision problems that may contribute to learning difficulties. Poor binocular vision. The eyes must work together properly to blend information from each eye into one coherent image. Accommodative dysfunction. Focusing problems can lead to blurred vision or the perception that words are shimmering on the page. Eye tracking dysfunction. 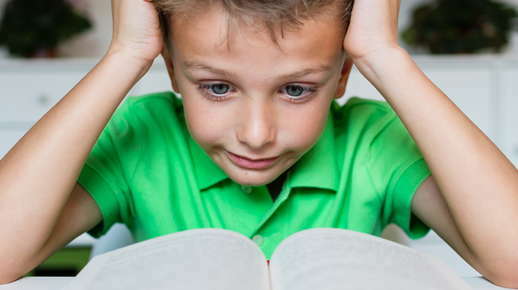 Accurate reading requires the eyes to move back and forth skillfully; eye movement problems may impair this ability. Visual-motor integration. Integrating visual information with motor output is essential for eye-hand or eye-body coordination. Poor visual-motor integration may result in learning difficulty. Visual processing deficits. Poor visual memory, ability to attend to visual information, or ability to identify visual objects may make reading and writing challenging. Special corrective lenses may improve some eye problems associated with learning disabilities. In many cases, doctor-supervised vision therapy can correct visual problems. Vision therapy might include viewing information through prisms, wearing a special eye patch, doing puzzles, practicing eye movements, or related exercises. Over time, vision therapy can retrain the eyes to work more effectively with the brain. After a course of vision therapy, many children with learning disabilities experience less frustration with learning as well as improved academic performance.